It is a very decorative and strong crest. 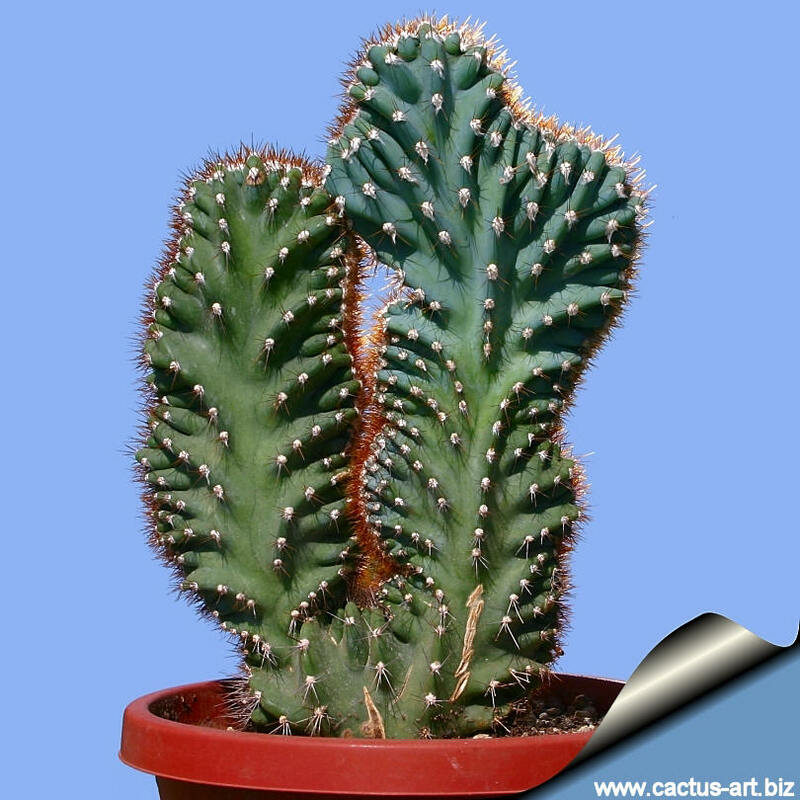 Description: The typical Cereus jamacaru is a large, multibranched Brazilian tree cactus with wavy approximately 6-sided columns and sparse spines up to 10 m tall, that looks remiscent of a Saguaro cactus but thinner. 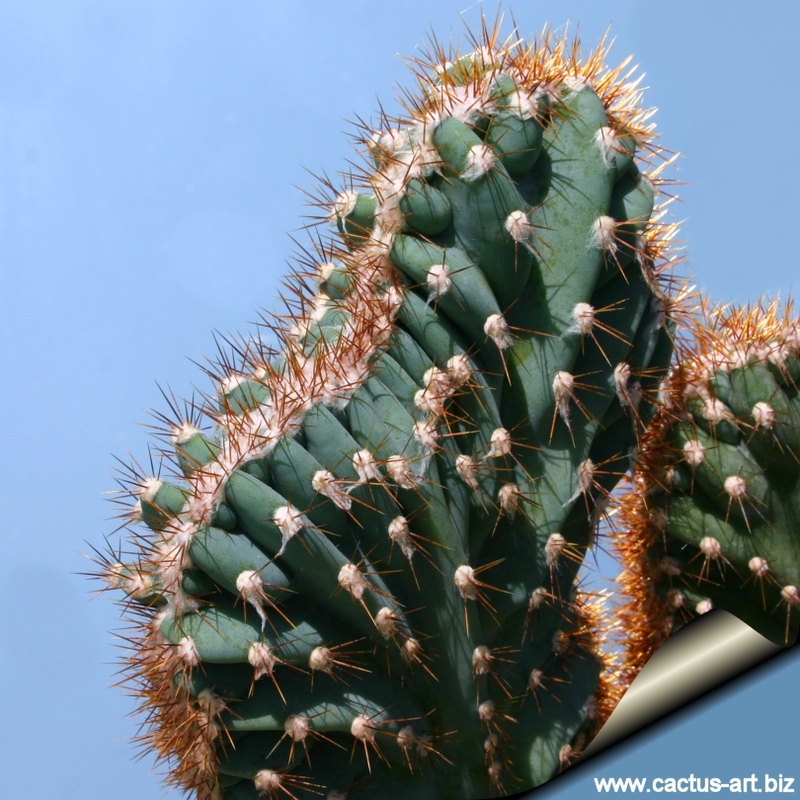 The bluish-green colouring is also distinctly different. 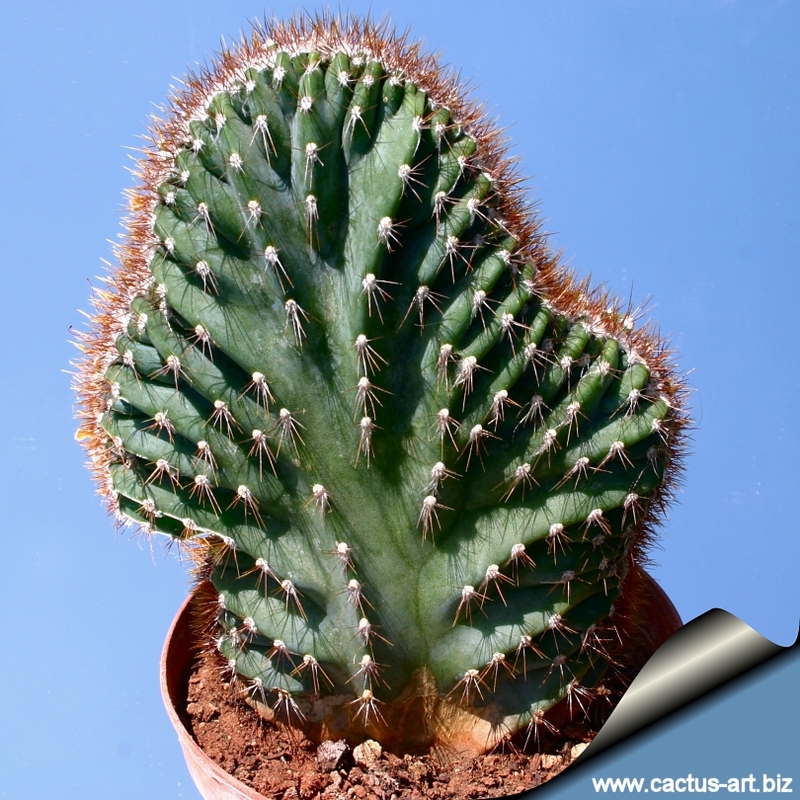 The crested form can also get very big making a spectacular specimen. Cereus cauchinii Rebut in Schuman.